Made in America, with a timeless, romantic feel, this classic Split Mission Jewelry Armoire is the perfect gift for that special someone! 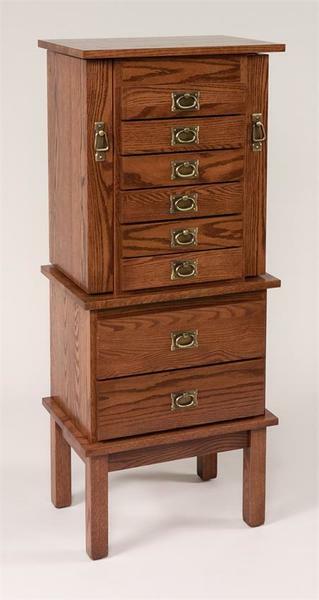 Choose the perfect hardwood and finish combination, along with your favorite velvet drawer lining and hardware and we will bench build your custom jewelry armoire and deliver it straight to your home. This heirloom quality piece can then be handed down and enjoyed by generations to come.